In 1933 the Tasmanian Examiner ran an article stating that a woman had purchased a pastoral property in western Queensland. The fact that this buying of land warranted a headline in an island state far removed from the dusty interior of Australia signified the importance and the uniqueness of the event. The world had just staggered through the great stock market crash of 1929 and was in the grip of a devastating recession, and yet here was a woman laying claim to a remote rural property. This story became the starting point for An Uncommon Woman. 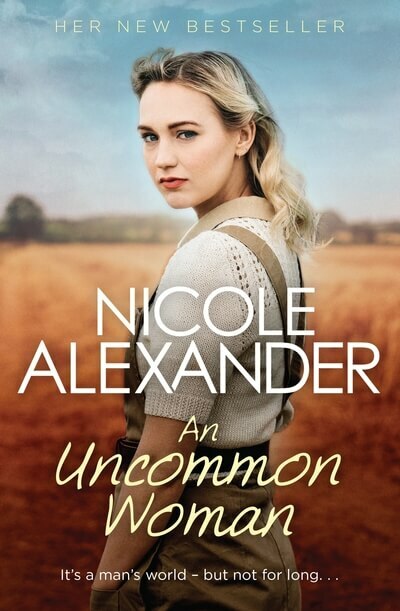 The novel is set in 1929 in the western Downs region of QLD, just prior to the market crash. I wanted my lead character, Edwina to break free of the restrictions of her time and gender and the society in which she lived. To forge a place for herself beyond the dictates of men, whether they be father, brother or lover. I wanted her to be feisty and determined. A product of her environment. She is an An Uncommon Woman.